Na'ama Tamir Kaplan, born in Israel in 1984, began her piano studies at the age of 8, alongside saxophone and cembalo studies. Completed her M. Mus. degree with Prof. Menachem Wiesenberg and Prof. Yinam Leef, in The Jerusalem Academy of Music and Dance. After the Academy, she studied with Prof. Oded Zehavi. She is a recipient of the AICF scholarships for 2007-2008. On May 2013, her piece ODE LA’EL (“Ode to the Lord”) for oboe quintet awarded with the 1st Prize at the composing competition Klang der Welt, and was performed at the Deutsche Oper Berlin. In March 2015 her piece From the Bottom of My Hurt was performed by the pianist Irena Friedland, in the International Women's Day Festival in Riga. 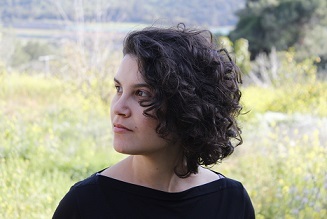 Na'ama Tamir Kaplan won the Grand Prize for the 2015 American Harp Society in Dallas Composer Competition for her piece Sketches for Harp Solo. In October 2016, her piece Spring Illusions was performed in Japan by the YAMAGATA Symphony Orchestra, conducted by Radek Baborák. In April 2017, during the Opus Festival in Tel Aviv Museum of Art, Radek Baborák, a renowned horn player in his own right, has performed an encore (Encore for Radek), written by Tamir Kaplan. In November, Baborák has performed the piece during the Hamburger Kammermusikfest International. In August 2018, Na'ama Tamir Kaplan participated in Synthetis summer course in Radziejowice, Poland, where she took classes under the instruction of Marta Ptaszyńska, Mauricio Sotelo, Ondřej Adámek, and Johannes Kreidler.